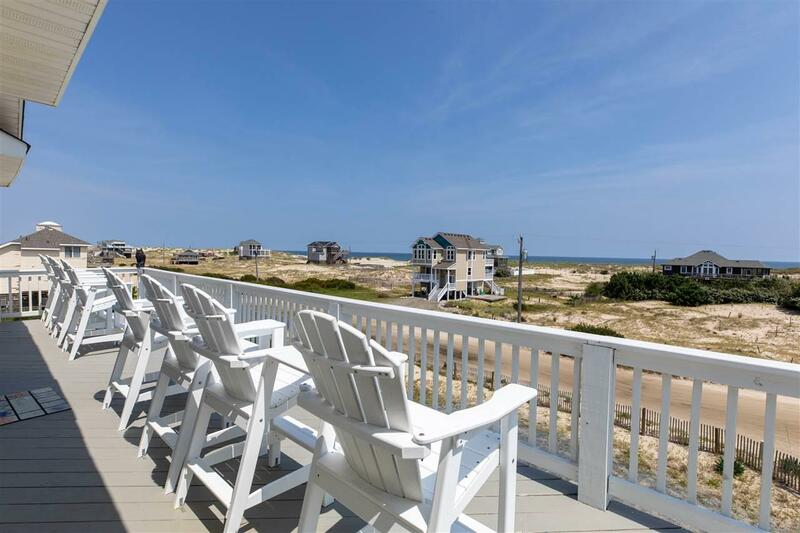 Fabulous Ocean Views, Direct Quick Walk to the Beach, Updated, Well Maintained and 11.58 % GRI Rental Projection!! 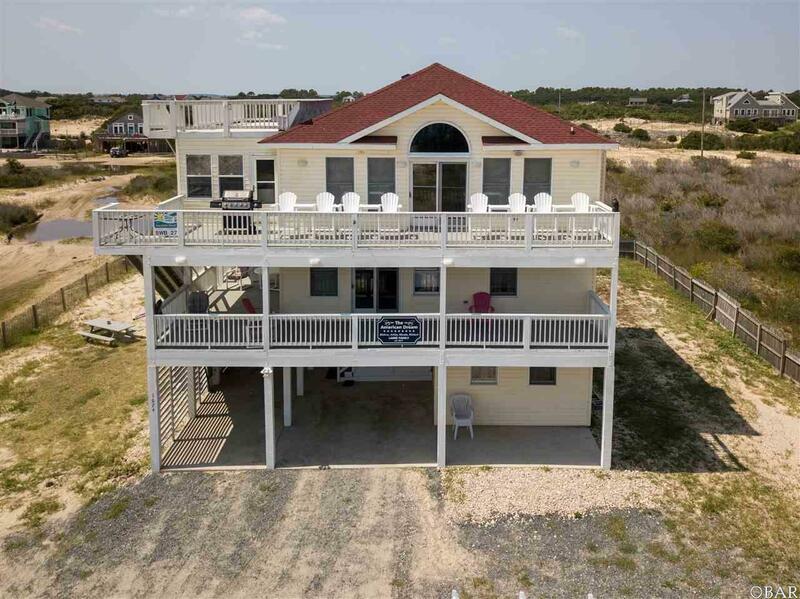 Here is the beach home that you have been waiting for. 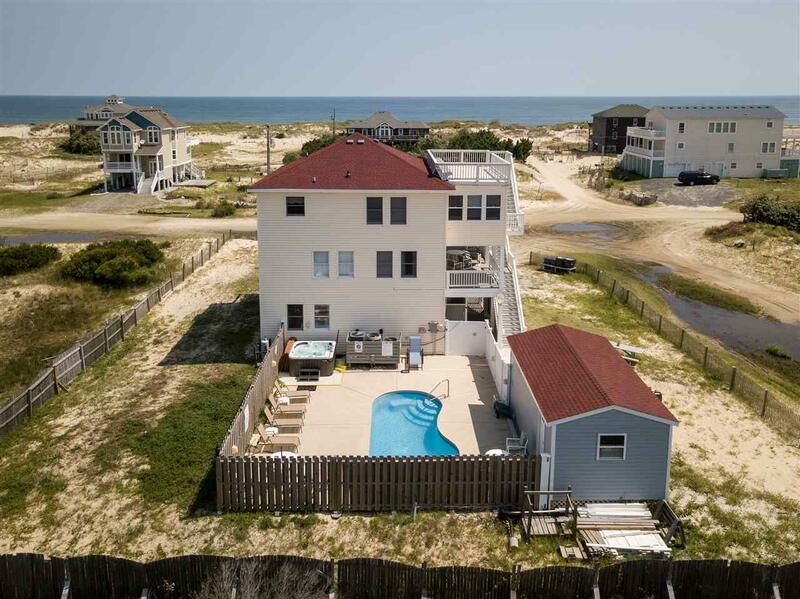 This well maintained 4 Bedroom 3.5 Bath home with Private Pool and Hot Tub is on a corner lot located just 3 Lots Ocean Front . Additionally, there is a huge Sky Deck to relax and enjoy panoramic Ocean Views, spectacular SunRises and see the roaming Spanish Mustangs. Home boasts Strong Rental Projection of $57,800. Top Level features all new commercial grade flooring with open spacious Floor Plan including Kitchen, Living room, Dining room, 4 Seasons /Rec room and half bath. Mid Level has 3 bedrooms - one Master Bedroom with Bath and Lounge area that has deck access and 2 Large Bedrooms that share hall bathroom. Ground Level has Bedroom, Bathroom, Den and Washer/Dryer. Outside area includes lots of decks - shaded and sun, Pool, Hot Tub, Shower, Carport and Garage for storage or to park your beach 4 wheeler. Some of the Many New Improvements and Upgrades are: Flooring top level and ground level, 3 year old roof, 1 new HVAC, 1 rebuilt HVAC, light fixtures, ceiling fans Chair Rails, upper level Decking and Stairs to Roof Top, kitchen faucets, toilets, Window Blinds, new crushed stone driveway, pool pump, well pump, water filtration system, and many new furniture pieces. Plus 3 season sun room converted to 4 season room with ducted AC & Heat. 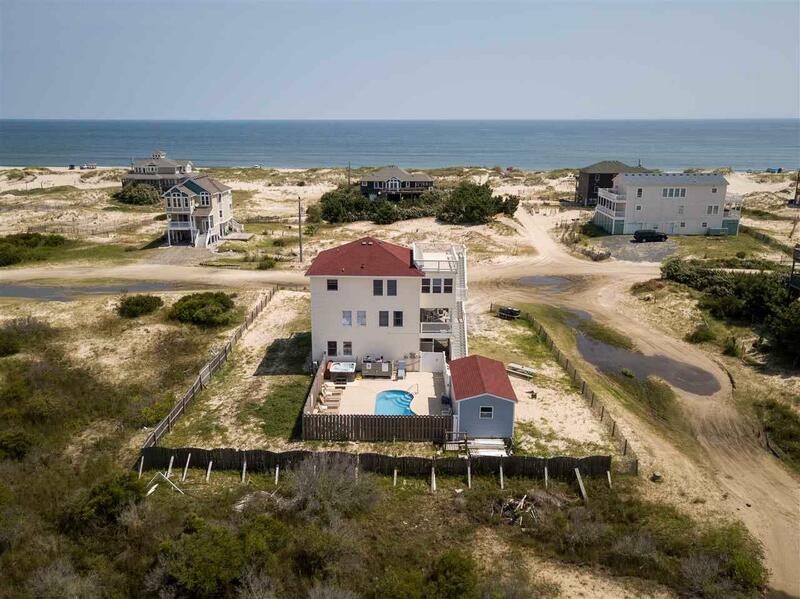 If you are looking for a Well Maintained beach home with many Improvements, amazing Ocean Views, very Close to the Beach, Large Sky Deck, Private Heated Pool and Rental Projection with 11.58 % GRI, then call to see this home!